As we start a new year that could bring significant change to macOS, Glenn Fleishman, writing for Macworld, spoke to the creators of four Mac apps – BBEdit, PCalc, Fetch, and GraphicConverter – that have been around for at least 25 years and weathered a variety of past macOS and hardware transitions. We’ve extensively rewritten, upgraded, and optimized [BBEdit’s] internal architecture.… Even though it has evolved a great deal, BBEdit has stayed very close to its fundamental mission: empowering its users to accomplish tasks which would challenge or defeat other tools. My passion since I first discovered the Mac nearly 30 years ago has always been making interesting and fun user interfaces. And look forward to keep doing it for a long time to come. Fleishman also spoke to Jim Matthews, for whom FTP client Fetch has gone from full-time job to side project over the years, and Thorsten Lemke, whose GraphicConverter app has evolved from converting a handful of image formats to over 200. Twenty-five or more years on one app is a remarkable accomplishment. The story of each app is different, but their developers share a common commitment to maintaining their apps for their customers notwithstanding the changes to the Mac and its OS over the years. Later this year, we should hear more about Apple's plans to help iOS developers bring their apps to the Mac App Store. Whatever impact those changes end up having on the Mac app ecosystem, I hope the sort of developer dedication that has kept BBEdit, PCalc, Fetch, and GraphicConverter around for over a quarter century perseveres. …now, you can create app bundles for Mac apps or free apps that offer an auto-renewable subscription to access all apps in the bundle. The post points to developer documentation on creating app bundles that that has been revised to mention Mac apps. 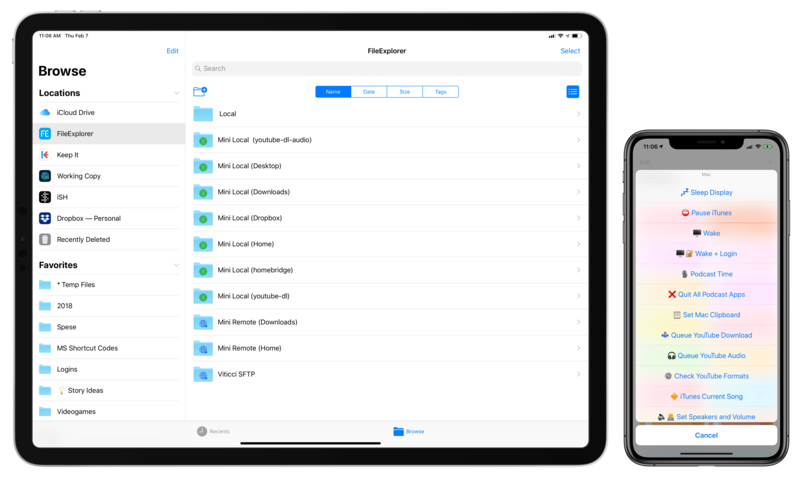 The process for setting up a bundle, which will allow developers to offer up to 10 Mac apps as a single purchase, appears to be the same as it is for iOS developers. Unfortunately for those developers with iOS and macOS apps, it does not appear possible to create a mixed bundle of iOS and Mac apps. Having just gone through the exercise of trying to find screenshots and other information about apps from the dawn of the App Store, I have a greater appreciation for how difficult that can be and the need to preserve the historically significant aspects of our digital world. Today, Stephen Hackett revealed a project he’s been working on for nearly a year: a collection of screenshots highlighting macOS from its debut in the Public Beta 17 years ago through today. These images came from the OS, running on actual hardware; I didn’t use virtual machines at any point. 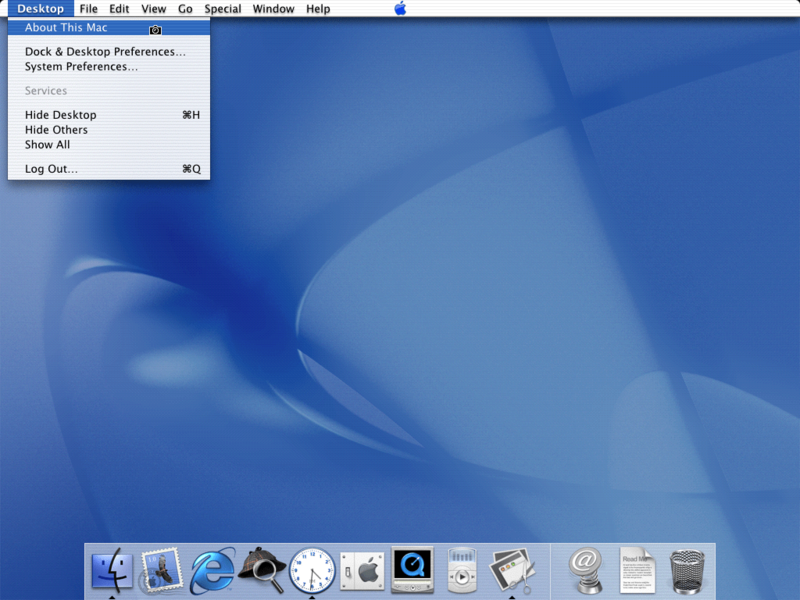 I ran up to 10.2 on an original Power Mac G4, while a Mirror Drive Doors G4 took care of 10.3, 10.4 and 10.5. I used a 2010 Mac mini for Snow Leopard and Lion, then a couple different 15-inch Retina MacBook Pros to round out the rest. When you have a moment, browse the collection. It’s fascinating to see the evolution of macOS from its origins through today. Marco Arment has revisited MacBook Pro battery life tests that he first ran in 2015 to see how his new 2018 13-inch MacBook Pro with a 2.7 GHz i7 processor and his 2015 2.2 GHz 15-inch MacBook Pro would fare under similar conditions. In 2015, Arment used an app called Turbo Boost Switcher to disable Turbo Boost on his laptop. This time around, he replicated disabling Turbo Boost on his 2015 MacBook, but on his 2018 model, he also limited the laptop’s power consumption using Volta. Running an app like Turbo Boost Switcher is worth considering when you have work to get done because it can mean the difference between your MacBook’s battery making it through a long flight or not. However, I’m with Arment – I’d prefer to run an iOS-like Low Power Mode for Macs that is implemented at the OS level and makes intelligent choices about what activities to stop or slow down. To get an idea of the sorts of things that might be throttled in a macOS Low Power Mode, check out the long list compiled by Arment. 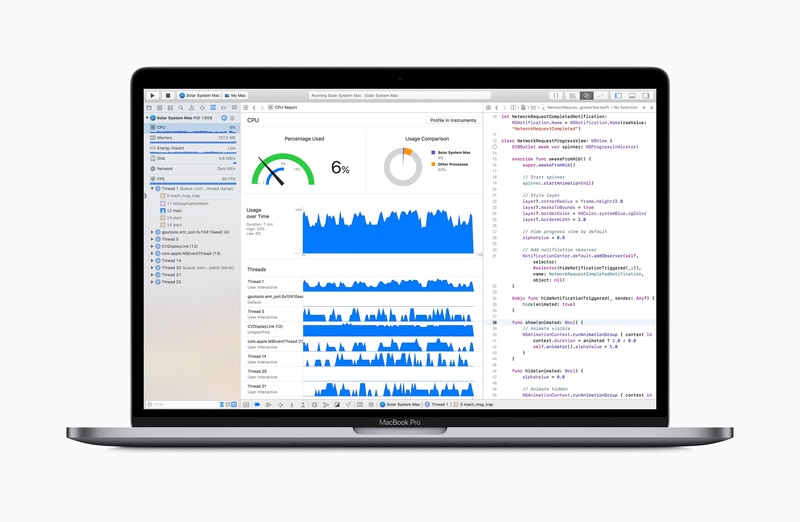 One of the marquee features that Apple showed off for macOS Mojave at WWDC is Dark Mode. 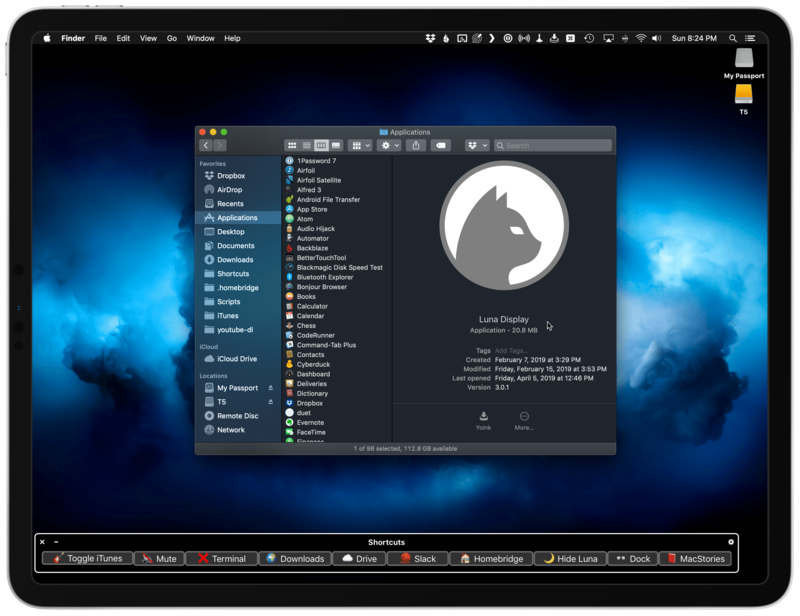 As the company demonstrated during the WWDC keynote, Dark Mode is a far more ambitious feature than the dark theme added to macOS Yosemite in 2014. 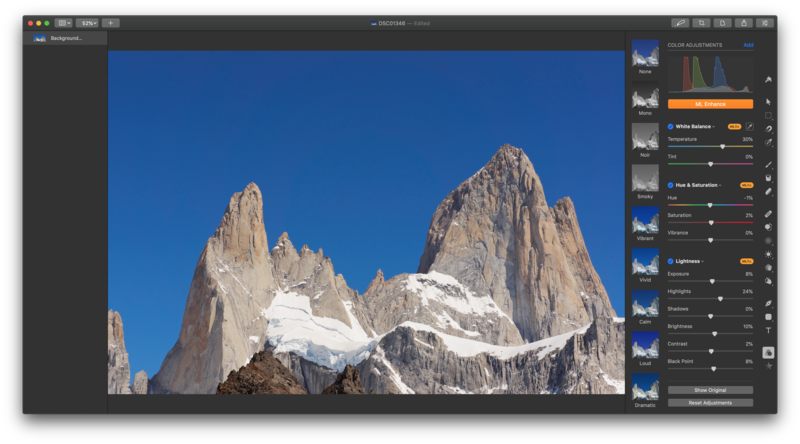 The new look extends much deeper into the system affecting everything from app chrome to window shadows and Desktop Tinting. The biggest is that not all apps should always follow the Appearance that has been set by the user. As before, Apple believes that media-focused tools should be dark at all times. I don’t foresee something like Final Cut Pro X gaining a light theme anytime soon. 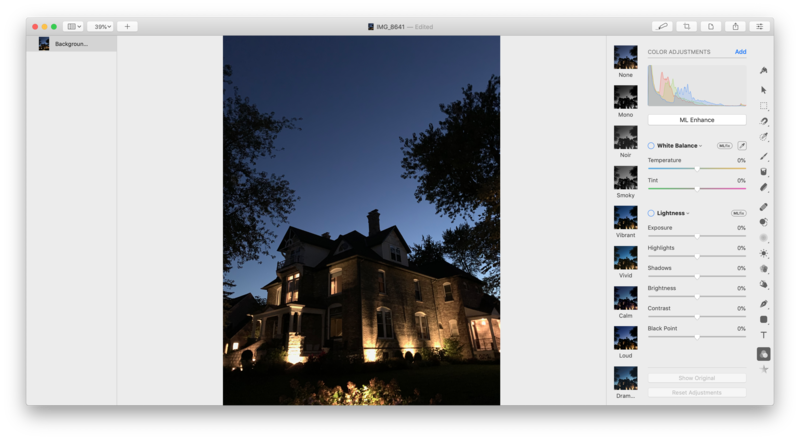 Apple has also given developers the ability to use the Light Appearance in sections of their applications. One example is Mail, which can use the Light Appearance for messages, but the Dark Appearance for its window chrome, matching the system[.] This lets text and attachments be viewed more easily for some users. I think it’s a nice nod to accessibility for text-heavy apps, and I hope third-party developers take advantage of this ability. Hackett also covers Accents, an adaptation and expansion of what is currently called Appearances that affect the look of things like drop-down menus, and how Accessibility features affect Dark Mode. I like the look of Dark Mode a lot and hope third-party developers adopt it quickly. I expect the pressure to add Dark Mode to existing apps will rapidly increase as more and more third parties begin to use it and hold-out apps become bright, glaring reminders among a sea of muted windows.